Boruto: Naruto Next Generations, fans got a big update on Kawaki thanks to manga. The series has a brand-new chapter coming out, and reports have gone live on the issue. As it turns out, Kawaki shares a big piece of his past with Boruto Uzumaki in chapter 27, and it is far from happy. After a crucial argument, Kawaki offers up a piece of his past when Boruto questions the boy on how he got his Kama mark. A flashback proceeds, and it sees Kawaki stripped naked as he floats in a container high above a laboratory. As it turns out, each of the experiments where failed once a person. Kara is doing human experiments to create a vessel for some unknown power, and Kawaki has become one of those human guineas. To his horror, he watches as Jigen activates his own Kama seal to test a boy floating next to him, and Kawaki watches the boy die helplessly. 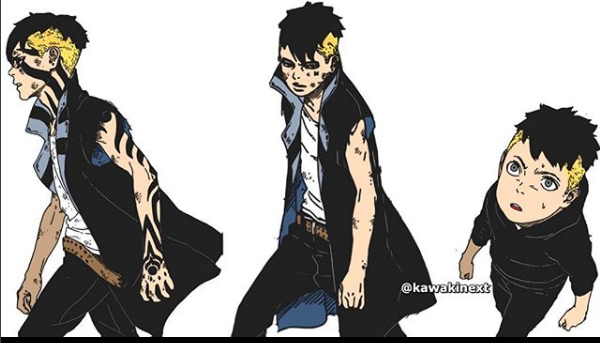 As Kawaki goes on to explaining, his main objective in life is to rid himself of the mark Jigen grant upon him with such a removal will give him freedom from his past and Kara's control over him. Still, Jigen will not be so easily convinced to leave his organization's vessel to the Leaf Village, so Kawaki knows it is only a matter of time before he's forced to confront his history once more.